Thanks Colleen & Adam for travelling all the way from Michigan! 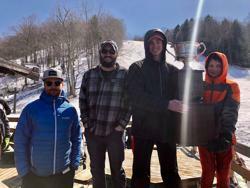 Ski Racing has been a long standing tradition for the Song Mountain Ski Team. We believe ski racing is a sport that lasts a lifetime. The friendships that are built, the life lessons learned, the daily fun factor, and self-discovery are benefits that will stay with you and your children forever. We invite you to look into joining our all mountain or racing team! We have a program for everyone. 2018 - 2019 Season Registration Open! Welcome to the 2018 -2019 Season! We are excited for the season ahead and what new things we have in store for our athletes. Whether your athlete is in the development stages of skiing or an established racer we can't wait to have you aboard. 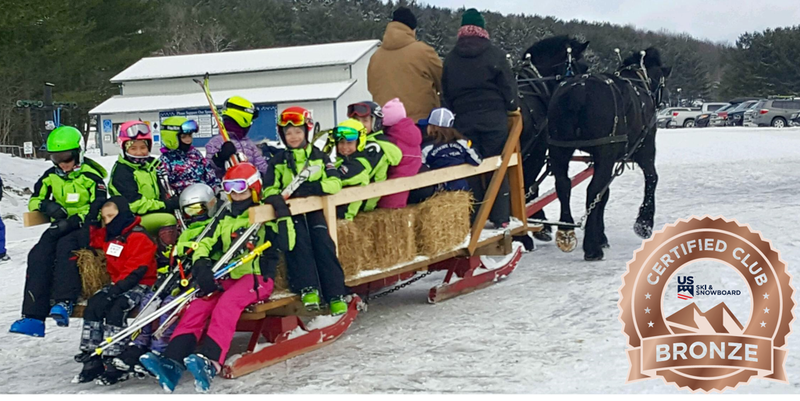 DECEMBER FOOD FOR THOUGHT: Ski Racing Parents, We Have A Problem! The Song Mountain Ski Team is very thankful to its very generous and supportive Sponsors. Please take a moment to visit their websites and explore their excellent services. Just click on the sponsor logo.